Deborah Chang is a Los Angeles personal injury trial attorney with Panish Shea & Boyle LLP and focuses her practice representing plaintiffs in complex torts, catastrophic injury, wrongful death, product liability, sexual assault/abuse/harassment/discrimination, and business tort cases. She is known throughout California as one of the few female trial lawyers who actually tries significant cases and obtains some of the largest record verdicts and settlements for her clients. As a leader in the legal community, she serves as a mentor for other women trial lawyers. Ms. Chang has been an integral part of the trial teams in some of the most significant and lengthiest trials in Los Angeles, including the Michael Jackson wrongful death case and the first ASR model hip implant trial tried in the country. Many of her cases of first impression led to significant changes in industry standards and practices that improved safety for the public. In Cuthbertson v. LACMTA, for example, a record $17 million wrongful death verdict ensured that visually impaired patrons using trains would be protected against falling in the gap between rail cars. The verdict was important not only to the LACMTA, but to all transportation authorities nationwide. Likewise, in Rosen v. The Regents of the University of California, Ms. Chang was an integral part of an eight-year battle in the trial court, the Court of Appeals, and the California Supreme Court in a case of first impression that affects every university and college student in the state. In that case, the Plaintiff, a pre-med student at UCLA, was slashed across the throat and stabbed multiple times by a classmate who had been diagnosed with schizophrenia. The California Supreme Court, in a unanimous decision, determined that universities and colleges have a duty to protect its students from known dangers in the classroom. In her first year as a young lawyer, Ms. Chang brought the first civil rights class action on behalf of prisoners with AIDS in a maximum security prison, which resulted in a landmark settlement that was cited with approval by the 1991 Report to the President and Senate by the National Commission on AIDS, and resulted in the formulation of model policies and procedures relating to the housing, programming, and medical treatment of prisoners with AIDS currently used in prisons throughout the country. She thereafter drafted and lobbied for enacted legislation in Connecticut relating to the release of terminally ill prisoners on medical parole, and proposed and instituted the first national scholarship fund with the Stewart B. McKinney Foundation for individuals pursuing a nursing degree to work with patient with AIDS. In 1996, Ms. Chang brought the first lawsuit in the country based on the newly enacted Violence Against Women Act of 1994, 42 U.S.C. Section 13981 (VAWA). She successfully argued for the upholding of the constitutionality of the statute in the first federal court to consider the issue. After reaching a settlement in the case, she lectured extensively on the issue of gender-motivated violence, and was a guest commentator on several national television shows regarding the statute, both before and after the United States Supreme Court eventually ruled that the civil remedy portion of the statute was unconstitutional. For her work, Ms. Chang has been received the 2019 California Lawyer Attorney of the Year (CLAY) Award in the area of Personal Injury, Consumer Attorneys of California (CAOC) Consumer Attorney of the Year Award in 2014, and was a finalist for that award in 2012, 2016, and 2017. She has been repeatedly recognized and selected for inclusion by the Daily Journal as one of the Top Women Lawyers in California, one of the Top Plaintiff Lawyers in California, and one of the Top 100 Lawyers in California. In 2017, she received the CAOC Women’s Caucus Women Consumer Advocate of the Year Award for outstanding commitment to furthering the education and careers of women trial lawyers. She has also been selected for inclusion in Super Lawyers for Southern California and Best Lawyers in America, and has been recognized as a “Top Attorney” by periodicals such as Pasadena Magazine. She has achieved a perfect 10 out of 10 Avvo rating for her exceptional services as a Top Attorney. Ms. Chang currently serves on the Executive Committee of the CAOC and is currently the Second Vice-President and Membership Chair. She is also a member (Associate Rank) of the Los Angeles Chapter of the American Board of Trial Advocates (ABOTA), and serves on its Executive Committee. She is a National Board Member of ABOTA, a member of the Membership Committee, and is the Chair of the Sponsorship Committee, and previously served as the Co-Chair of its Masters in Trial (MIT) Program. She is also a Fellow of the ABOTA Foundation (Legacy-Ratifier). She is also actively involved with the Consumer Attorneys Association of Los Angeles (CAALA), and is a member of and frequent speaker for the American Association of Justice (AAJ). She currently serves on the Diversity Committee for AAJ as a representative for California. She is also a Fellow with the Litigation Counsel of America (LCA), a trial lawyer honorary society composed of less than one-half of one percent of American lawyers. Ms. Chang is committed to the training, education, and mentoring of women trial lawyers, and serves as a Co-Chair for the Daily Journal Woman Leadership in Law events, and was a Co-Chair for CAALA’s first Women Trial Skills Conference. In 2016 and 2017, she was also a Co-Chair for 360 Advocacy Trial Skills from the Woman’s Perspective. She has provided scholarships for women trial lawyers to attend various trial skills seminars throughout the country. She is the author of numerous articles appearing in Forum, Advocate, Plaintiff Magazine, and other periodicals, including, “What is the Value of a Poor Man’s Life”, “The Story of Their Lives,” and “Where Are All the Women Lawyers?” She is co-authoring a book on damages with Brian Panish. Ms. Chang is a frequent speaker at seminars and annual conventions, and has been invited to speak at events throughout the country, including in the states of Washington, Nevada, Colorado, Louisiana, Kentucky, Indiana, Florida, and others. Additionally, Ms. Chang serves on the Board of “Fund Her”, a newly-launched political action committee dedicated to achieving gender parity in California politics that is cited as one of the reasons for a huge state and national rise in both women candidates and women donors. Prior to her practice at Panish Shea & Boyle LLP, Ms. Chang represented both plaintiffs and defendants throughout the country in products liability, commercial litigation, professional liability, securities fraud, and complex torts cases. She previously served as local, regional, and national counsel for a variety of companies, insurers, and manufacturers, including AIG Excess and Ford Motor Company. Understanding how defendants and insurers analyze and prepare cases has been invaluable to Ms. Chang, and has been an important reason why she has achieved record settlements and verdicts. As part of her trial practice, Ms. Chang has been extensively involved in jury research and focus groups. In 2000, she helped conceptualize and launch one of the first companies to provide online focus groups from a unique database of nearly 3.5 million Internet users. The service was used by trial attorneys and insurers in prominent cases pending throughout the country, and was recognized by The National Law Journal as a helpful tool for assessing the strength and value of cases. For over a year, she served as its CEO and General Counsel. 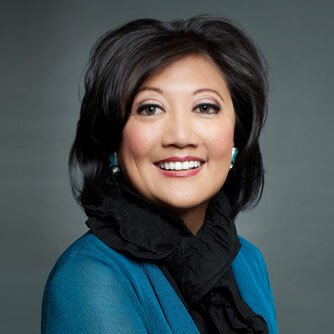 After graduation from Kansas University and Drake Law School, Ms. Chang served as a judicial law clerk for Chief Judge Antoinette Dupont of the Connecticut Appellate Court. She was previously associated with Day, Berry & Howard (now Day Pitney) in Hartford, Connecticut, and Snell & Wilmer in Phoenix, Arizona, prior to becoming an equity partner of Cummings & Lockwood (Connecticut and Florida). At Cummings & Lockwood, she served as the head of the torts and products liability practice group in the trial department and amassed an undefeated trial and appellate record. While practicing law in Connecticut, she was also an instructor and part of the adjunct faculty at the University of Connecticut Law School, where she taught appellate advocacy, served as a supervising attorney for independent study projects, and was the faculty advisor for the Moot Court Executive Board and teams.